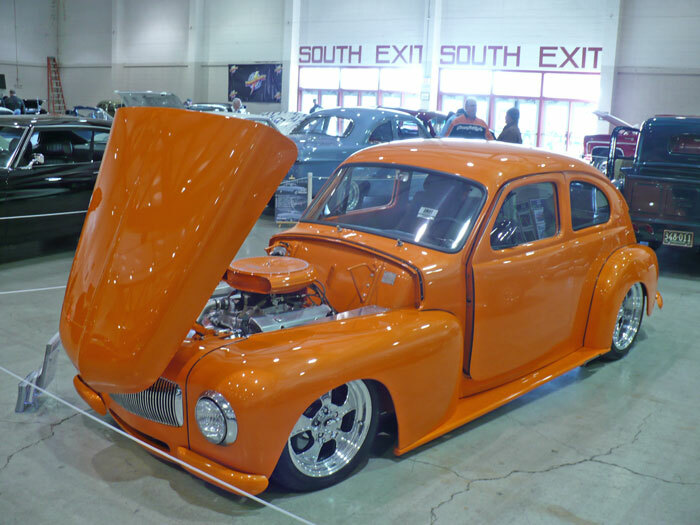 We’ve all heard the phrase, ‘Rome wasn’t built in a day.’ And neither are Hot Rods and Custom cars. 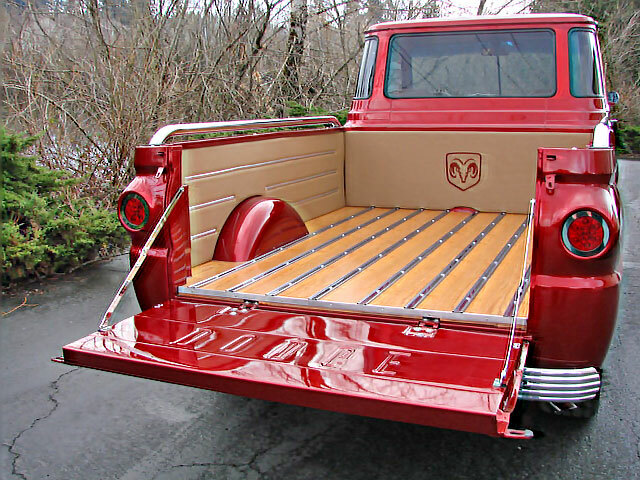 In 1981 Art Laws owner of Timberline Dodge formerly in Portland Oregon was in southern California on a car buying trip, when he came across a 1965 Dodge A-100 pick-up. The truck had been used as a delivery truck. It was in pretty rough shape, but it was an original V-8 automatic, very rare and very hard to find. The majority of these trucks were 6 cylinder, 3-speeds. 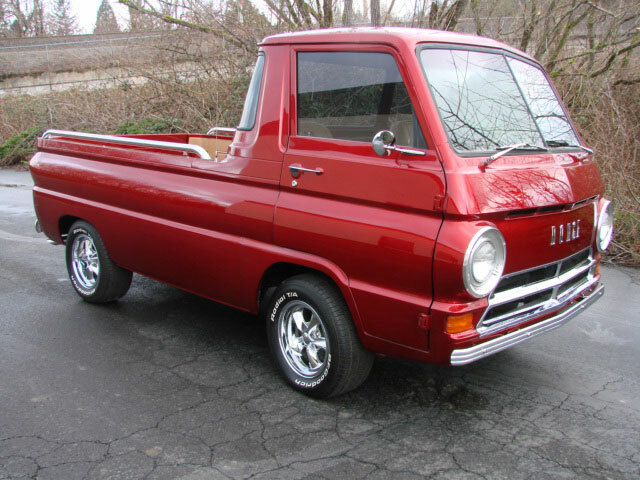 Art had been looking for an A-100 like this to use for his own dealership, since it had the right power train, Art bought the truck and shipped it back to Portland. 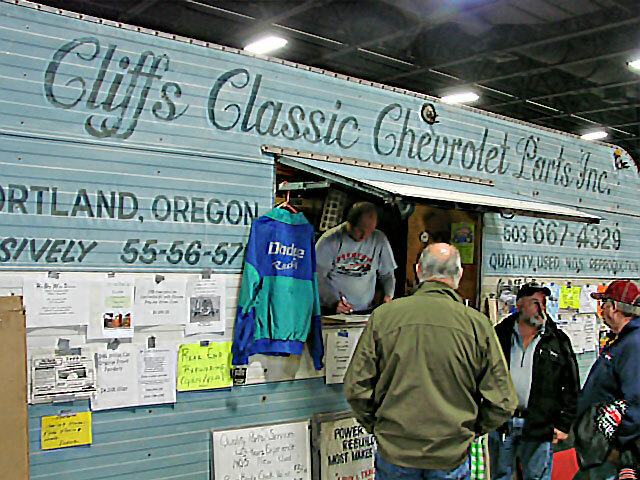 Once it had arrived at his shop, he had his mechanics go over the truck and it was determined that the engine and transmission needed to be rebuilt. Work commenced immediately and the engine and trans were out of the truck the next day. 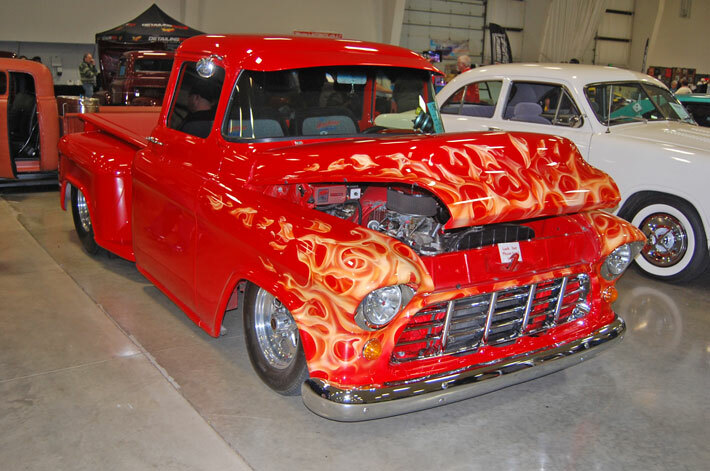 The truck was rolled over to the body shop with the idea that when they had the spare time, they would work on the body and paint work it needed. Over the years the truck sat in the body shop without much work being done to it. 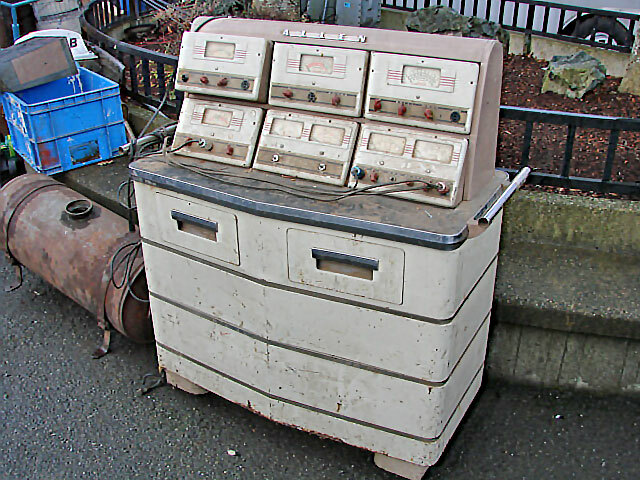 In other words, it was put on the back burner so to speak. 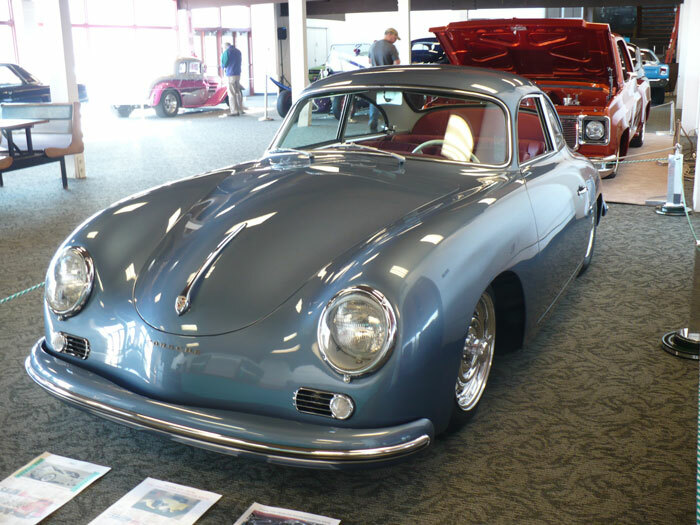 In 1993 the motor was finally finished and it sat on an engine stand in the showroom on display for years. 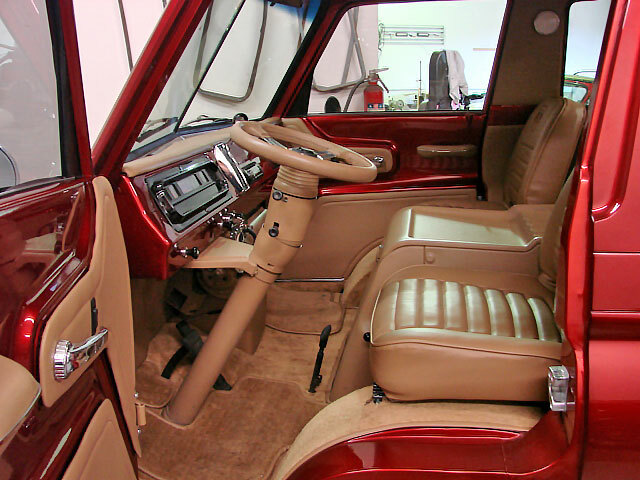 When Art retired in 2009, the truck still sat in his warehouse awaiting completion. In December 2013, Ed McLarty, a friend of Arts was asked if he wanted to help Art finish the restoration. Ed agreed and he worked on it until its final completion. That is, if projects are ever really complete. 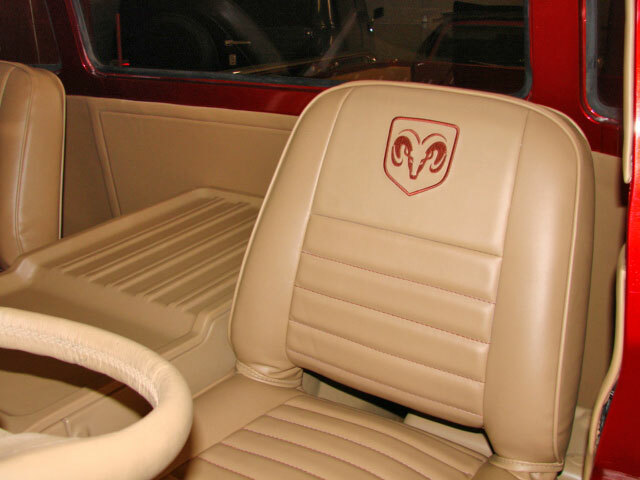 The truck wasn’t an easy project because of its rarity with so few being built and so few remaining most companies don’t make after-market parts for this vehicle. It’s also very hard to find good used parts. What made it even harder was that a lot of the parts to the truck were missing by the time Ed started working on it. Ed says that the truck couldn’t have been completed without the help of the following: Wild Cat Auto Wrecking, Vicious Brand Auto Art, Russ’z Auto Upholstery and Restorations, Mt. Hood Glass, Industrial Finishes and Terry Sorvik. 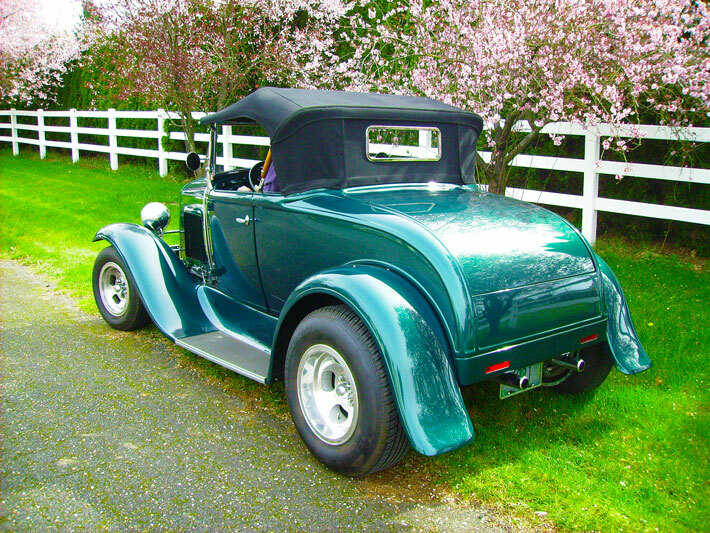 Now that it is finished Art and Ed are looking forward to displaying it at the Portland Roadster Show and a couple Good Guys event this summer, along with Beaches Cruise-In on Wednesday evenings at PIR in Portland. 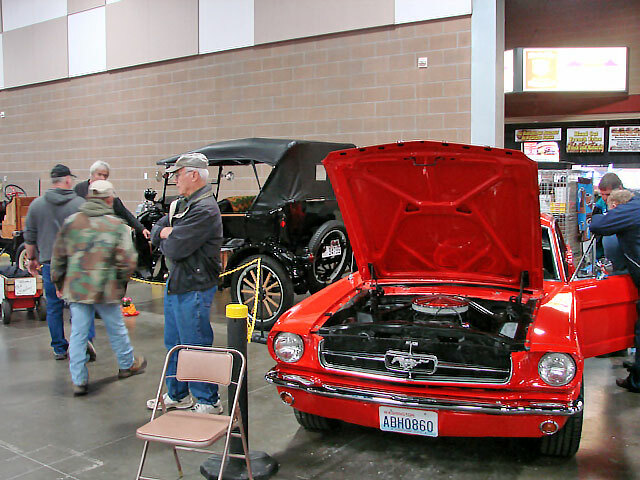 The Early Bird Swap Meet held in mid-February at the Washington State Fairgrounds in Puyallup Washington is indeed one of the earliest of the year. I’ve gone in the past when it barely rained and now I can say I’ve gone when it poured. Fortunately a lot of the vendors where inside one of the many buildings. This years’ event seemed a little bigger than last year even though the weather was threatening. 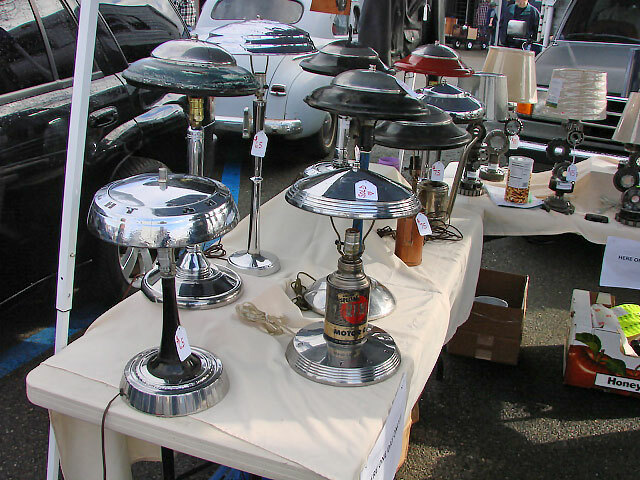 I know I’ve told you I like swap meets but I really like this one. There always seems to be a ton of great used parts available and at very reasonable prices too. I’ve been going to this one for many years and it never disappoints. You should put it on your list for next year. Ya gotta admire the guys that set the trends rather than just following along. The fearless “free thinkers”. The guys that march to a different tune. The guys that really don’t give a damn what anyone else thinks. Smokey Yunick and Duff Burgess were two guys like that. Yunick you may have heard of, Burgess is my best friend Drew’s older brother. Both became legends among their peers. Oh, and both built race cars out of ’68 Camaros. Yunick survived fifty plus raids piloting a B-17 in World War II. After coming home he set up shop in Daytona Beach Florida where a fledgling racing club called NASCAR was just getting started. 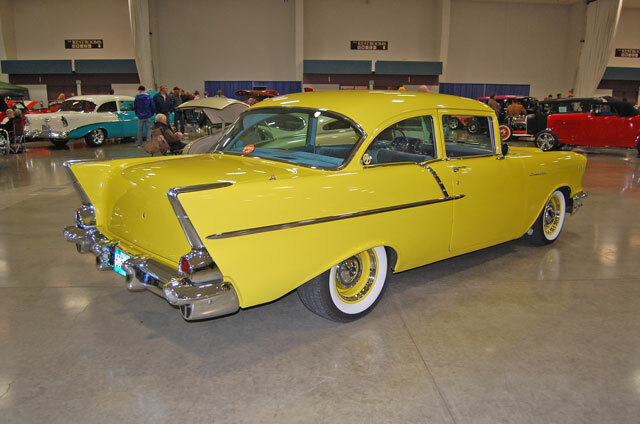 His first winner was a Hudson Hornet but it didn’t take long to draw the attention of the big wigs from Chevrolet. 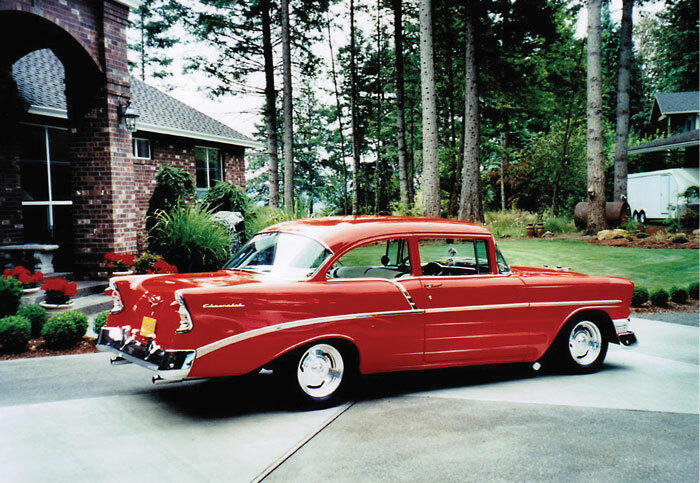 When the small block V-8 was introduced in 1955, Yunick was in charge of research and development. His race cars were always competitive. Over the years Yunick became better known for his ingenuity (and creative interpretation of the rulebook) than winning races. Some of the stories about his escapades became part of racing folklore. The most famous of which involves a rigorous inspection wherein the officials required Yunick to remove his racecar’s fuel cell. Certain that the car was somehow carrying more than the legal amount, the tank was confiscated pending further inspection. Outraged, Yunick reportedly jumped into his racer, fired it and drove off, leaving the officials gas tank in hand. 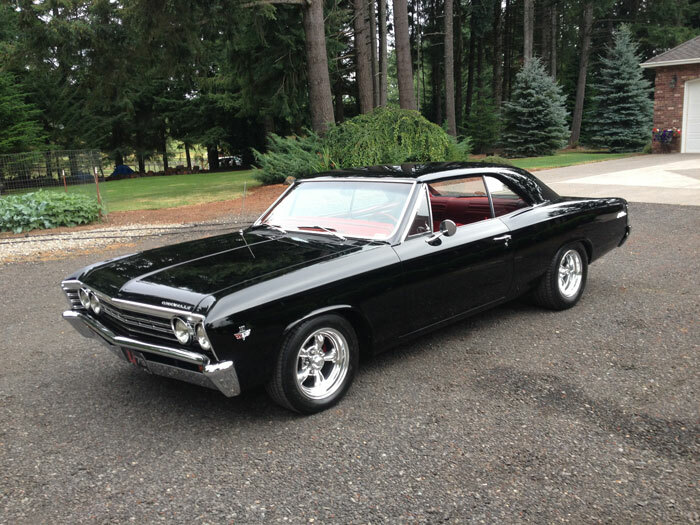 Another tale involved a 1966 Chevelle that supposedly was constructed at 7/8 scale. It turns out that Yunick had moved the body back on the chassis to improve the center of gravity and for that reason, it failed to fit NASCAR’s template. It is known that Yunick was provided with at least three ’67-’68 Camaros from the factory to rebuild as racecars, only one of those cars exists today. That car was stripped to the bare bones and rebuilt on a rotisserie so that Yunick could get at it from any angle. The body panels were all acid dipped to reduce weight. 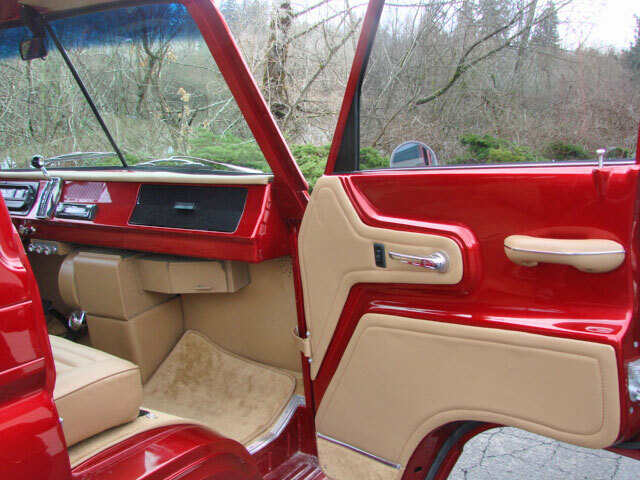 The windshield was laid back and composed of a thinner safety glass. All bolt-on components were either shaved down or rebuilt in lighter versions. Knowing that he couldn’t get away with altering the stock engine location, Yunick instead Z-cut and lowered the chassis around the motor giving the Camaro the lowest profile possible. As sleek and slippery as the finished racer looked, it was just as aerodynamic underneath. Yunick set off for Bonneville but when he heard that the factory Cougar team was testing at Riverside (CA), he couldn’t resist taking a detour. With slicks mounted all around and Indy car driver Lloyd Ruby at the controls, the Camaro promptly shattered the track record. 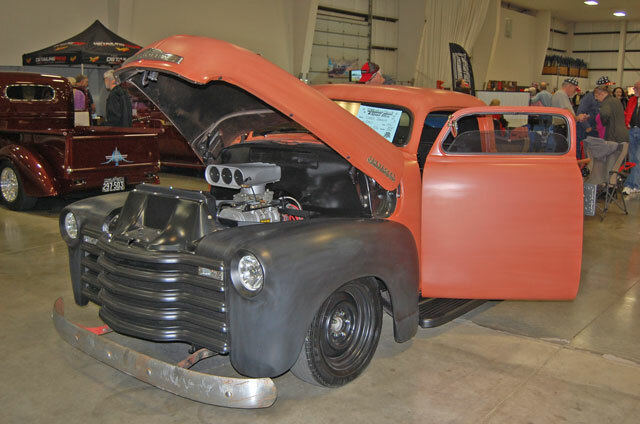 Yunick loaded back up and continued on to Utah leaving the Mercury boys in an uproar. At Bonneville the car broke several FIA records but Yunick refused to dumb it down enough to pass road race tech. 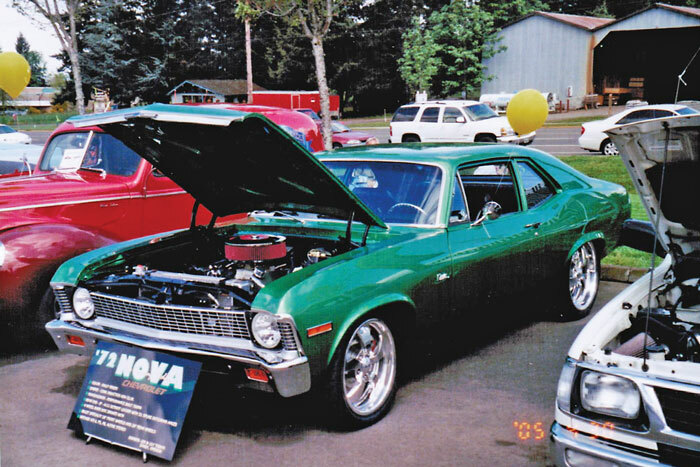 The Camaro was sold to fellow racer Don Yenko who made the required changes and won races in the car including the Daytona GT race in 1969. The car remained a competitive SCCA club racer (still in Yenko’s stable) for another ten years until it was literally falling apart. 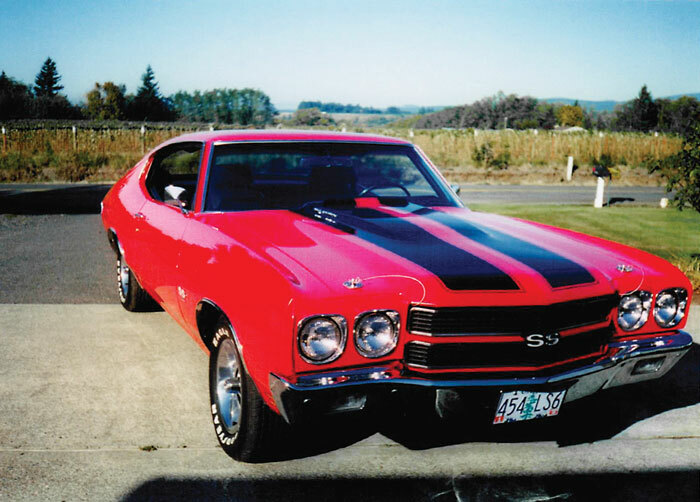 A decade after that, historian David Tom found the Camaro and restored it to its former glory. 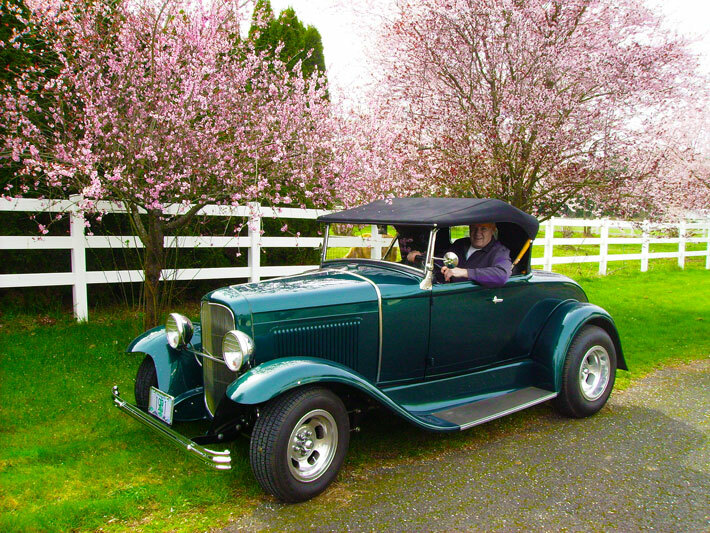 Today the Edelbrock family owns and races the car in vintage events throughout the country. Looking back, Duff Burgess wondered if he’d had A.D.D. as a kid (“hyperactivity” they called it in my day). I’d known him as long as I’d known Drew and we’d struck up a friendship in kindergarten. I don’t remember anything unusual about Duff’s behavior. In fact in my opinion, Duff was cool. He was upbeat and funny. He was always goin’ but it wasn’t “willy-nilly”, Duff always had a plan. If we were drawing, he might sit down and draw with us. Or he might plop down in front of the upright piano and hammer out a little boogie woogie. Usually though, he was building something. I was a night owl but there were nights when I could hear Duff in the next room toiling away into the wee hours. Drew and I were H.O. slot car nuts and one morning Duff emerged from his bedroom, his latest creation cupped in his hand. 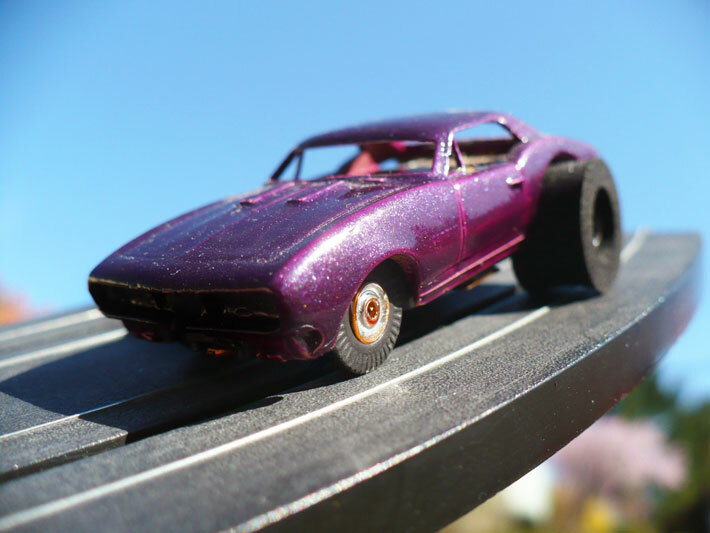 It was a Camaro stripped of all chrome and windows and painted a deep metallic purple. The most impressive feature was its rake- nose to the ground, tail way up. On the rear were mounted the largest sponge slicks I’d ever seen…Ever. Like, wrong scale to be honest but when you’re twelve years old, you don’t argue. Duff casually planted the well lubricated machine on the track and grabbed a pistol gripped controller. What Drew and I witnessed next was unprecedented. Whereas our best racers skittered around the track, chattering like little locomotives, Duff’s Camaro flat git! Effortlessly, almost silently, it glided. It was easily the fastest slot car we’d ever seen. Duff laid down a couple quick ones then put down the controller. Drew and I were just coming to grips with the reality that we were never going to win a race again…when fate intervened. As he plucked the oily Camaro from the track, it slipped from his fingertips and did a full gainer into a poorly placed bowl of decal water. 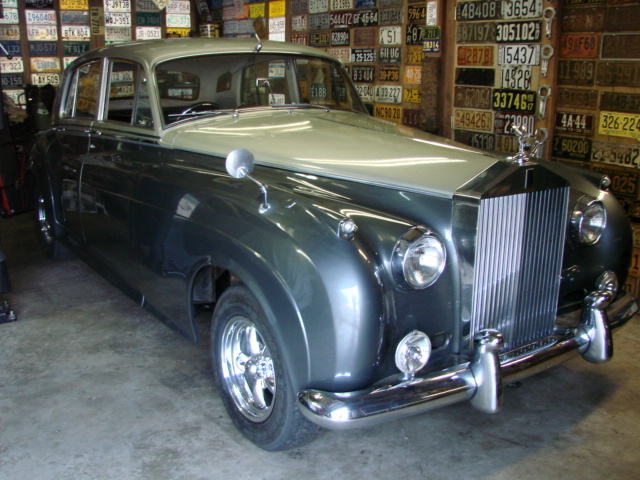 Remember the story we did on the big block Rolls, build-in-progress some time back? Well, it’s down on all fours now, it runs, goes, steers and stops. But there is no place to sit, unless you count the up-turned 5 gal bucket and the floor. 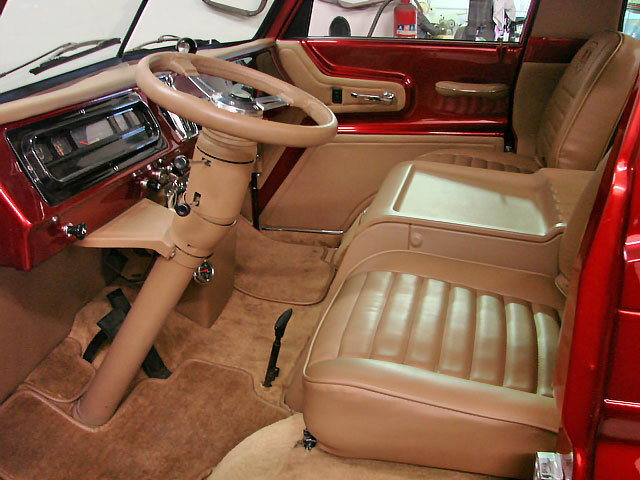 Now it is going to Ross’s Upholstery, 514 S. McLoughlin Blvd., Oregon City, awaiting it’s new interior install. Look for another feature on this one later. 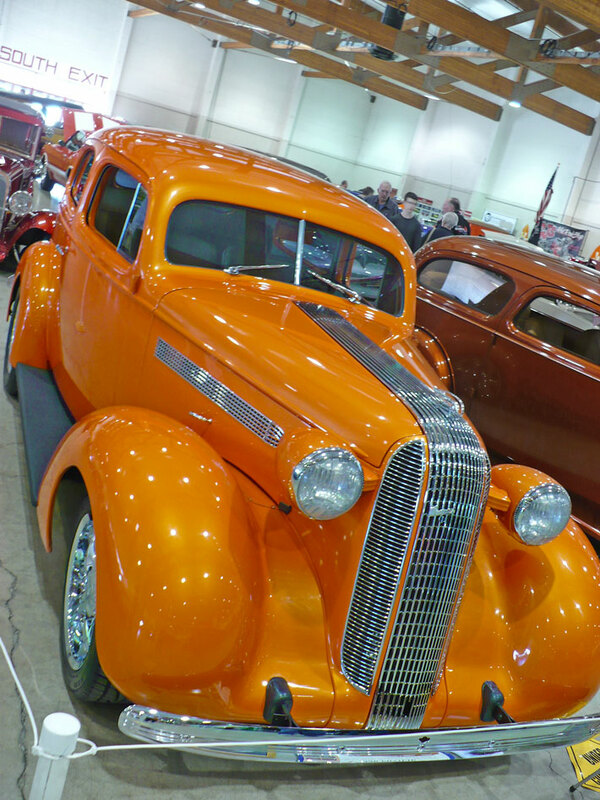 Dan & Karen Fitch’s 1936 Pontiac, slant back sedan, ’61 389 Tri-Power engine, “Slim Jim” auto trans, 51K original miles. I’d been telling people I’d never been to the Salem Roadster Show. Then my wife overheard me and reminded me that we had. “Remember when we got to meet Paul Le Mat from American Graffiti?” she asked. 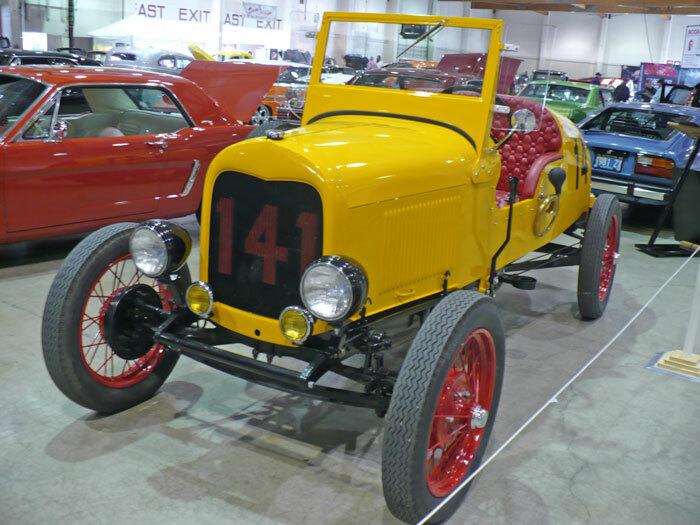 “They had a replica of his yellow hot rod and the black Chevy that Harrison Ford drove.” She was right again, of course. Wives are great for remembering stuff like that. Man, how many years ago was that? Did Le Mat actually work more than one show? 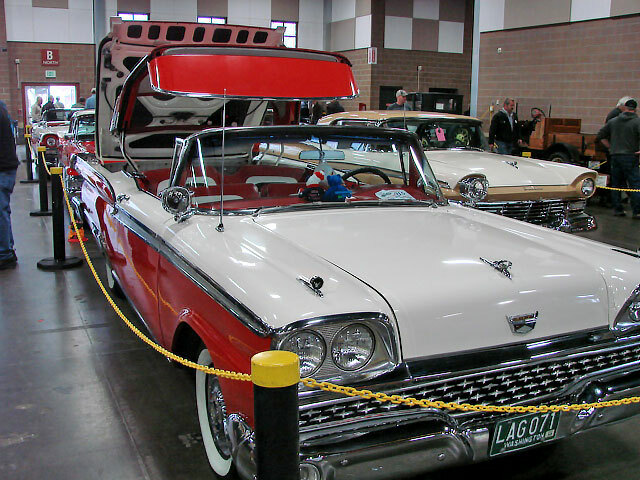 Well, this year the cars were the stars but the venue was unchanged. What used to be called the Jackman Long building is now the Americraft Center. Like before it was jam packed with an eclectic mix of vehicles. Old and new (thanks to sponsors Weston Kia and Withnell Dodge), from trailer queens to race cars. 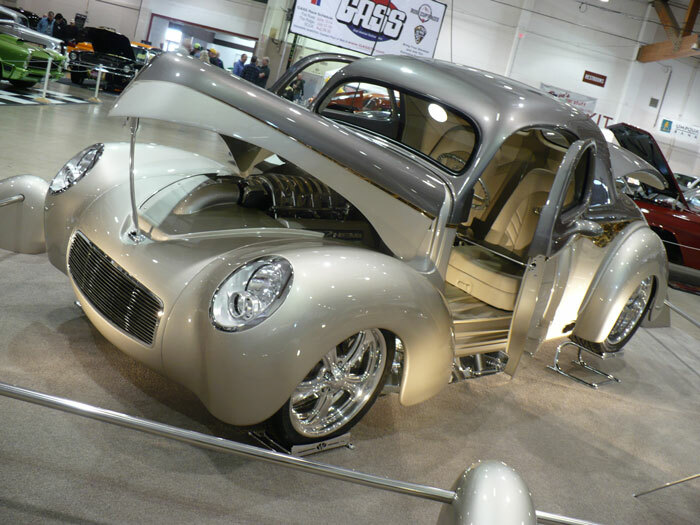 At one end of the spectrum had to be Don and Teresa Lulay’s Vanderbeck built ’41 Willy’s- truly a show stopper. At the other end, track fresh racers. A NAPA Late Model rental car provided by the GASS series, a mind blowing, front engined Corvair gasser and a ’28 Ford track roadster…cool stuff. 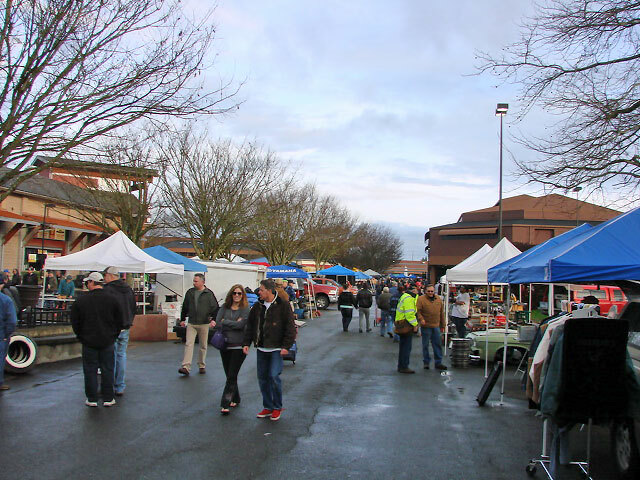 Around the perimeter of the building were a couple dozen vendors representing everything from a local bank to a transmission shop. So if you had a question, there was likely someone on hand who could answer it. Admission prices were reasonable for the quality of show presented (It is an invitational by the way) and it was refreshing not to be charged for parking! And how about this to get the younger enthusiasts to come out? FREE ADMISSION up to age 17! Good thinking. Okay, it had been a while since I’d been to Salem. I can tell you it won’t be long before I return. 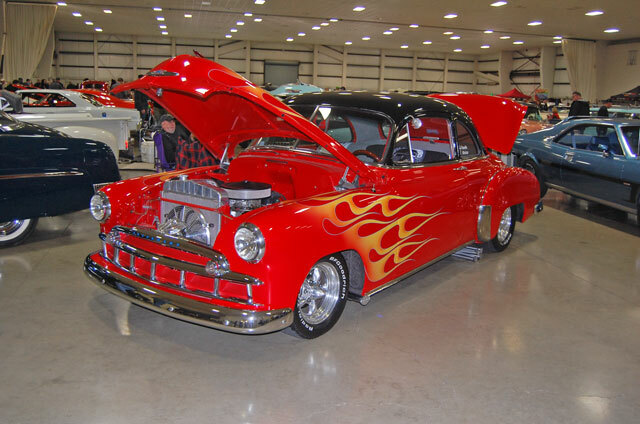 This show is billed as the “First car show of the Year” and it has happened the first weekend in January for a while now, at the fairgrounds in Albany. It’s a one day show and it draws a lot of really neat cars from around the area. 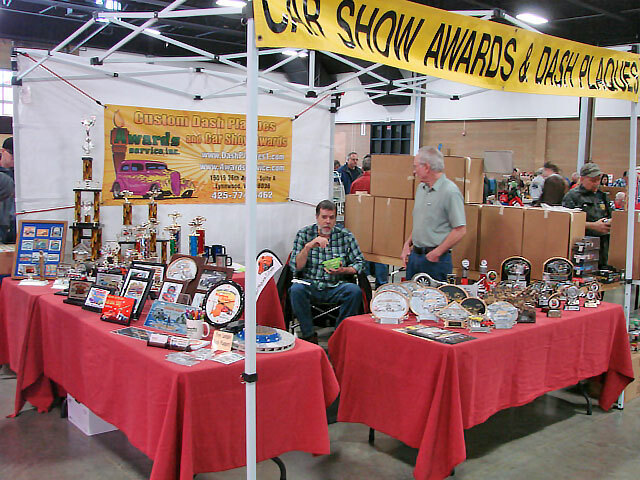 This year’s show was dedicated to Mike Vogler, the founder of the car club, The American Street Masters and lifetime car guy. He passed away in November 2014. 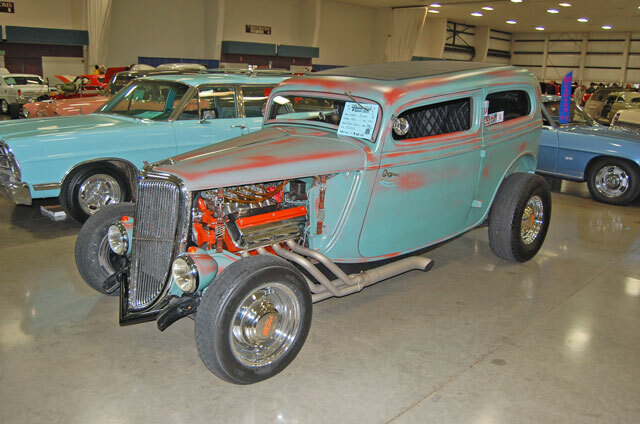 Mark your calendar to plan to attend next years’ Winter Rod and Speed Show. The year is 1959. Oh Yes! 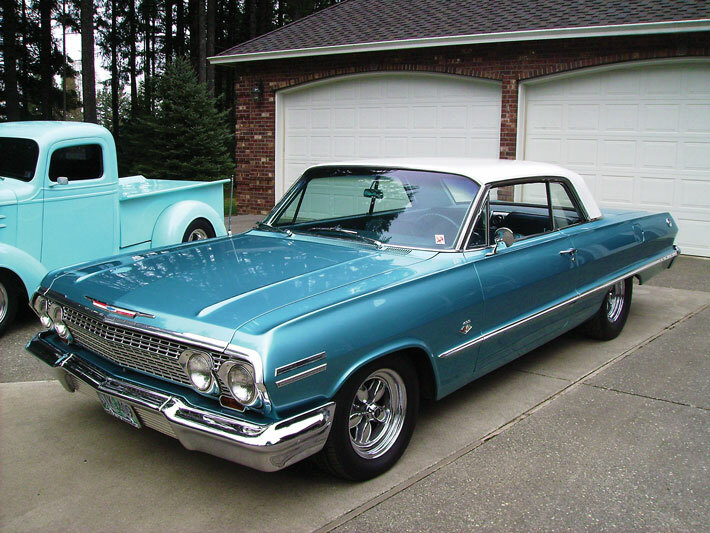 The summer of ’59. It was hot like a waffle iron, no matter where or what you touched it was hotttt! I finally got the model “T” running pretty good, at least you didn’t have to push it to get it started now. A flywheel with some teeth in it helped a lot and a rebuilt starter didn’t hurt either. Thanks to Mr. Schmedding at the gas station for all his help on the “T” plus he gave me a part time job pumping gas. Wow! Pumping gas back in 1959 was like being a “Rebel with a Cause” . . . ’cause those super hot days and nights in the Spokane Valley were about the time those male designers of female fashions introduced the infamous mini skirts and mini shorts. I’m telling you up front there was not a car that left our gas station that didn’t get the oil checked, the radiator checked, even the water in the battery was topped off under that hood. Plus all windows were washed at least once inside and out for all female customers. Oh baby the view from that windshield area in those days was almost too much for any red-blooded American boy to handle. But getting back to the vanishing Model “T” update, in those days it was not uncommon to be working two or even three part time jobs. So on the nights I wasn’t pumping gas and falling in love, I was parking cars at the country club out at old Liberty Lake and my third job was helping out at Mom’s CV Diner. On this given night I was parking cars and as the midnight hour approached my old buddy Donn M. who also worked part time at the country club, suggested we should take a little break from all this work and stop and have an A&W root beer at the new stand on Sprague Avenue as it was somewhat on our way home. Now Mr. M drove the sweetest little 1930 Chrysler Coupe with a smooth running 4 cyl. for power with three on the floor, that to my surprise got up and turned some numbers. So you guessed it the bet was on. I’m not sure just how fast that stock MoPar and that not so stock Model “T” were moving in a MPH gauge but the competition was getting a little heated. At first I thought my little Flathead V-8 was kinda playing with that straight 4 banger but as things progressed that little MoPar was holding its own and maybe Mr. M was kinda playin’ with us. We had reached Sprague Avenue in Greenacres and we were still bumper to bumper with only about two miles to go to the A&W root beer stand, but for all intensive purposes nobody would be buying root beer on this night as we just flew by a Spokane County Sheriff’s vehicle. We both saw him and were sure he saw us as he turned the red lights on and was in the process of turning around when Donn yelled at me to head to the Albertson’s parking lot and pick him up. Now Donn turned his lights off and was driving pretty much by feel, and it looked like he might have done this before so I followed his lead and went dark also, getting as close as I could to that old Chrysler. He pulled in and parked just like he owned the place and jumped out of his ride and into mine and we headed right back the same direction with the lights on this time, and it came to pass that driving a 33 year old car might come in handy on this given night as we were just about three blocks from old Mackeys Used Cars and Auto Repair shop. Now using the description used cars might have been abusing the english language a bit as one would have thought to imply used cars, that at least one of them on the lot would have to actually start, but not once in all the years I tried to buy a car in there, not once did they ever actually run. 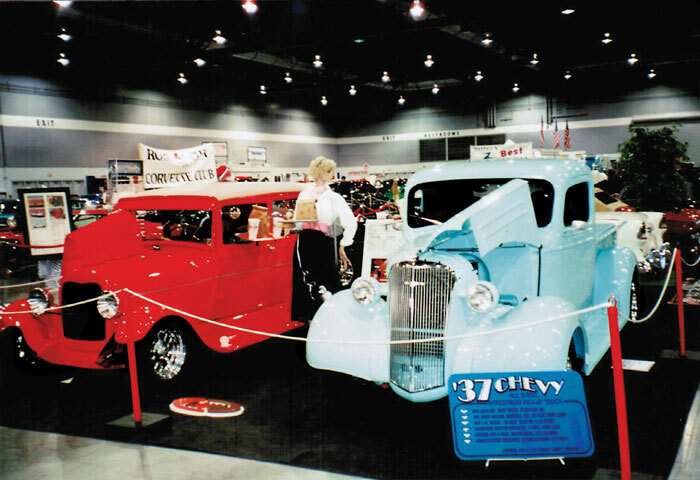 He had cars and trucks that were from twenty five to forty years old and priced accordingly. $25 to $500 each, you pick it and then they fix it. Just about this time that same Spokane County Sheriff’s car goes by heading towards Albertsons. Well he spotted me about the time I spotted him, but before he could get those red lights on and turned around I was at Mackeys’ and boy the old Model “T” fit right in amongst those oldies. I, of course turned off the lights and headed around back where he had twenty or thirty old beater cars and trucks of all makes. It looked like these may have been the parts cars for all those repairs needed to be done on the cars in the front row. 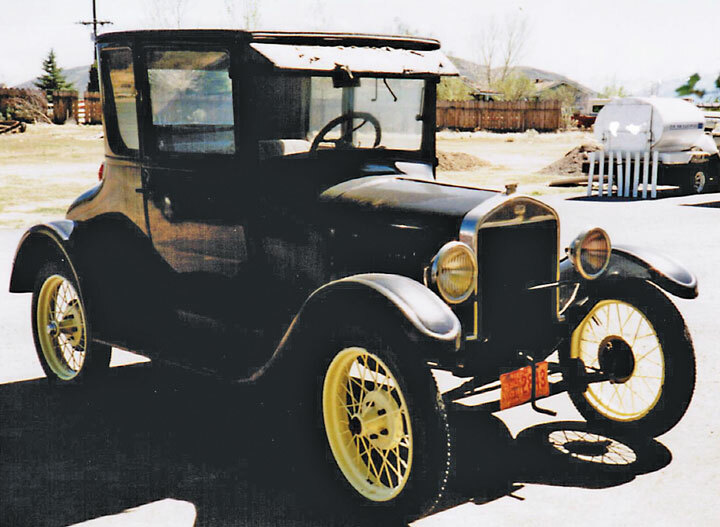 Well I pulled right back there between a couple of trucks and an old John Deere tractor and ran right over those two to three foot long weeds that were growing up and it appeared the old Model “T” Ford had been there forever. Donn and I crouched way down in those Model ”T” seats and didn’t move a muscle. Now that excellent Spokane County Sheriff Deputy should have gotten a medal for endurance as he sat out there in his patrol car spotlighting every car on that lot as I’m sure he knew we were in there he just couldn’t find us. He gave us the better part of an hour and then drove off. We left the car there and headed on foot to the A&W for one of the best Root-Beer Floats of all time. It was the summer of 1959 and we truly made the ‘26 Ford Model “T” Coupe Vanish amongst some of the best of them for a little while in the Cops mind anyway. Oh Ya! As I recall we went Dutch on the Root-Beer Floats that Night. 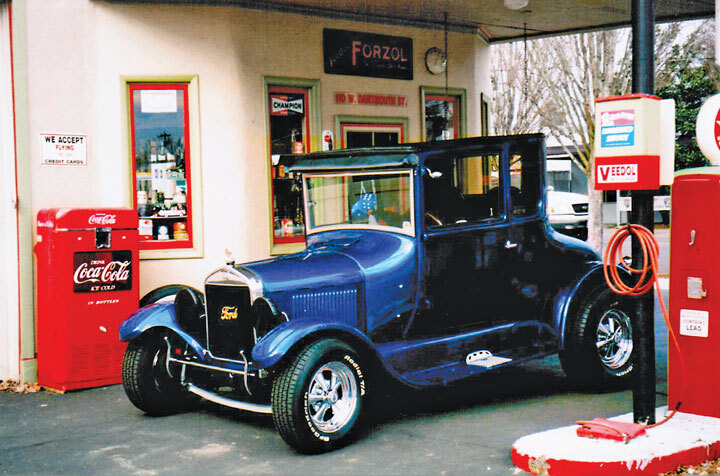 P S: The year is now 2015 and the old 1926 Ford Model “T” Coupe just had another Birthday recently and is not looking too bad for a cool 89 years old. 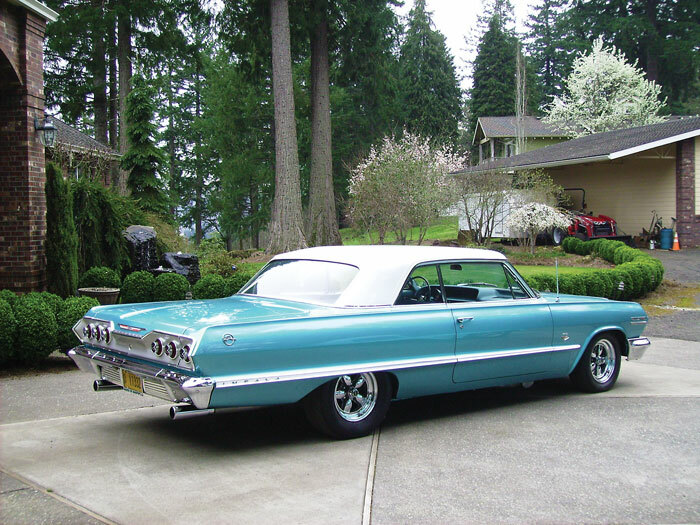 We have created quite a friendship these past 58 years and as you can see she wears a Fresh Moderately New Candy Midnight Blue Paint Job with some High Dollar Class. The question is why didn’t you hold on to that first car you bought way back then??? I guess it must have vanished with all the rest of those neat boy toys you use to have. Woulda! Coulda! Shoulda!